We are reconstructing our web presentation at the moment. 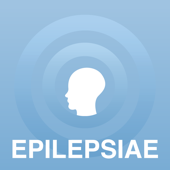 The database developed within the EU funded the EPILEPSIAE project by three epilepsy centers in Coimbra, Paris and Freiburg. The European Epilepsy Database has also the highest quality of data since it's completely annotated by EEG experts and contains supplementary Metatdata about evaluations and EEG annotations (clinical manifest and subclinical seizures, interictal events) in a supplementary relational database. First 60 datasets available now. price is valid for non-commercial institutions only. The more than 200 remaining datasets will be made available later. Many technological applications in the field of neurology and neuroscience depend on evaluations based on EEG data. So far, public resources for EEG recordings have been limited. As part of the EPILEPSIAE project an extensive database of long-term recordings of the intracranial and surface EEG was compiled. This epilepsy database is by far the largest and most comprehensive database for human surface and intracranial eeg data. It is suitable for a broad range of applications e.g. of time series analyses of brain activity. Currently, the EU database contains annotated EEG datasets from more than 250 patients with epilepsy, 50 of them with intracranial recordings with up to 122 channels. Each dataset provides EEG data for a continuous recording time of about 150 hours (> 5 days) on average at a sample rate from 250 Hz up to 2500 Hz. Clinical patient information and MR imaging data (most datasets) supplement the EEG data. A comparison between presently available EEG data collections from Bonn , Flint Hills  and Freiburg  and the European EEG/epilepsy database concerning number of datasets, hours of EEG recordings and contained clinical mainfest seizures. The compared data collections contain considerably less patient datasets (5 in Bonn, 10 in Flint Hills and 21 in Freiburg). The total duration of EEG recordings included exceeds 40000 hours. This is by an order of magnitude more than Bonn (35 hours), Flint Hills (1400 hours) and Freiburg (509 hours) contain in total. Also, the 2400 contained seizures in the EU database exceed the number of contained seizures in Bonn (5), Flint Hills (49) and Freiburg (88).